While Mad Men has always excelled at selecting the music with which to sign off at the end of an episode, the show has rarely offered up as heartfelt and earnest a tune as this one. At the end of season seven’s second episode, “A Day’s Work,” Don has been caught in a lie by his daughter Sally. He’s the lowest he’s ever been, professionally, at least with regard to his tenure at the company that built him up and then sent him crashing back to Earth when he got too reckless. He’s struggling with booze, he’s at loose ends with his marriage, and just when things seem darkest, he gets a phone call from Sally. “I love you,” she says, and the strains of The Zombies take us into the closing credits. It’s that rarest of Mad Men moments: light at the end of the tunnel. The Zombies were an also-ran in the British pop invasion, a group that never quite attained the massive success suggested by the strength of its music. Despite having an album ranked number 100 in Rolling Stone’s list of the greatest albums of all time (1968’s Odessey And Oracle), the band’s name is only vaguely known by most people, usually as the source of the 1964 hit, “She’s Not There.” The song was The Zombies’ stateside calling card, hitting No.2 on the charts in December of that year. The band flew across the pond on the strength of that hit, playing shows and making its TV debut to the sound of screaming teenage girls, per the legal requirements of the time. Still, the group hit a roadblock soon. 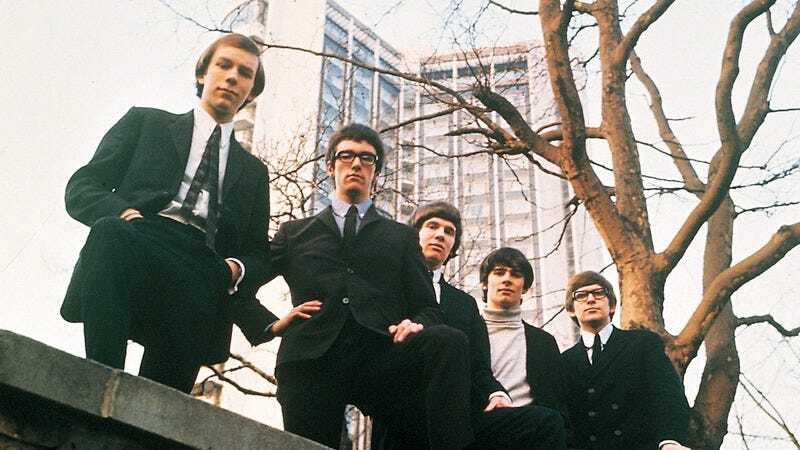 The Zombies had quickly followed “She’s Not There” with “Tell Her No,” another decent-sized hit, but thereafter were unable to maintain commercial success. Subsequent singles went nowhere, and by the time its first album for CBS records was released, the group had already broken up. You can see the reformed version of The Zombies still, as the band’s surviving members tour regularly these days, and it’s an odd reminder of how a group with such potential couldn’t quite connect. But “This Will be Our Year” is a legacy any artist would be proud to call their own. It’s as pure a pop song as there is, a lilting, piano-driven number, jazzy and sweet. The narrator is delivering lyrics that sound saccharine, but rise above the potentially syrupy-sweet trap by virtue of being delivered so guilelessly: “You don’t have to worry, all your worried days are gone / And this will be our year, took a long time to come.” It’s a song that speaks to the secret romantic in everyone, buried beneath the layers of irony and cynicism that accrue over the years. Hearing it now, you can be forgiven for stopping what you’re doing, taking a couple minutes of your day, and remembering a memory of something hopeful, something that came along right when you needed it most. It happened to Don Draper at his lowest ebb—a moment with a fond memory is sometimes all it takes to turn things around.